Attention: Adults with ADHD and parents of children with ADHD. If you wonder if you or your child have ADHD or if you wonder what makes your ADHD symptoms worse, here’s the answer to all your questions. Feeling confident that you are doing absolutely everything possible to effectively deal with ADHD. Finally, an easy to use holistic approach to help you get an accurate diagnosis for yourself or your child even if you have already tried everything else. Do you lie awake at night worrying that you or your child will be a failure in life because you or your child’s brain just seems to work differently? Are you afraid that the symptoms you or your child experience might be ADHD? Are you wondering how to get an accurate diagnosis? Are you concerned that you have never been quite satisfied with the way the diagnosis you may have been given already was done? Do you wonder if the diagnosis correct? Are you concerned that you don’t know why the symptoms get worse sometimes? Do you wonder what else besides ADHD might be causing the symptoms? I’ve been where you are. Before I became a psychotherapist I went through this process with my own daughter who was suspected of having ADHD in first grade but wasn’t diagnosed until ADHD third grade. It took over two years to finally get a diagnosis that made sense. I dealt with a teacher that was not aware of how inattentive my daughter was and how much she was missing in class. I watched as my daughter struggled to stay focused long enough to get her homework done. I experienced her anger and frustration when she forgot to bring her assignment home or when she couldn’t find something in her room. I saw her work twice as hard as most to get everything done. I discovered that eating artificial colors or sugar made her hyperactivity much worse and that drinking milk led to intense behavioral outbursts. I learned first hand how it feels to love a child so deeply, yet be frustrated and angry at them at the same time. Over the past twenty plus years in my private practice, I’ve seen the struggles that adults with ADHD and parents of children with ADHD endure. I can’t count how many adults have shown up in my office after spending thirty or forty years dealing with symptoms of ADHD and not knowing what it was. Most of them felt very anxious, stressed, depressed and guilty because of the difficulties they experienced with concentration, task completion, work, school, and relationships If only that had been able to get an accurate diagnosis years earlier, their lives would have been so much easier. And parents are often at their wits end trying to help their child who has symptoms that might be ADHD. It is not uncommon during the process of gathering enough information to accurately diagnose ADHD to discover other factors that contribute to symptoms such as food sensitivities, sleep problems, head injuries, vitamin and mineral deficiencies, seizures and so much more. Did you know that research indicates that between 8-10% of school-aged children have ADHD and approximately 4% of adults? Up to 60% of children with ADHD will become adults with ADHD. Despite the huge prevalence of ADHD, ADHD is often missed and commonly over diagnosed. ADHD is being diagnosed at an alarming rate. But is it always truly ADHD? Two papers published in 2012 confirmed that ADHD is being over diagnosed. Did you know there are specific diagnostic criteria that must be met for a diagnosis of ADHD to be made? Did you know what else might cause the symptoms that look like ADHD such as head injury, health issues, depression, sleep problems and many more? And did you know that there are many things that can make ADHD symptoms much worse? I’m sure you already know how confusing and challenging it can be to get an accurate diagnosis for you or your child. 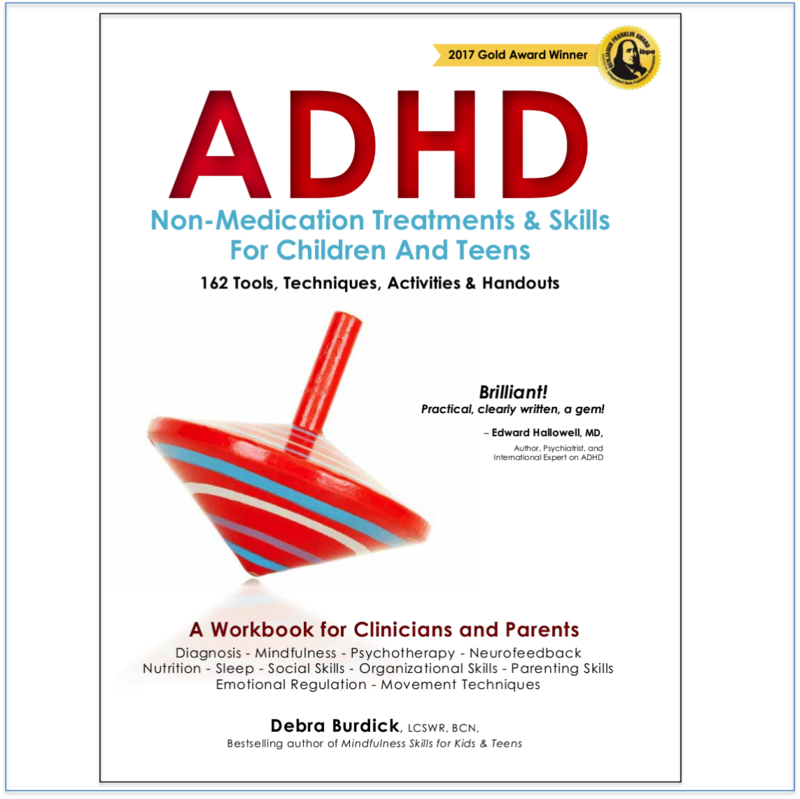 This book and CD set will guide you to learn a holistic approach to diagnosis that applies the most recent research about ADHD. 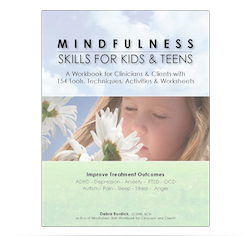 It looks at the whole person and helps you understand and thrive with ADHD. Unlike other books about ADHD it provides an integrative holistic approach to diagnosis that can be very instrumental in not only diagnosing but also managing and actually reducing symptoms of ADHD. If you, or your child, have ADHD symptoms you are probably frustrated because you’ve already tried some things with little success and you don’t know where to look to find out what else is available. If you have been dealing with symptoms that look like ADHD for some time you I’m sure you have tried to find a way to help you get an accurate diagnosis. I’m sure you found that some of the more common ADHD approaches to ADHD just don’t work for you or your child. and concern you have about obtaining the right diagnosis? If they are truly symptoms of ADHD and not some other issue that mimics ADHD such as head injury, allergy, depression, a sleep disorder or other causes often seen in clinical practice. Well, it isn’t. My IS IT REALLY ADHD? ONLY ADHD? How to Get and Accurate Diagnosis for You or Your Child book and companion CDs give you all the pieces of the ADHD diagnosis puzzle in one place with a proven approach to success you just can’t get anywhere else. This book and CD set will help you understand what’s involved in getting an accurate diagnosis. It explains the diagnostic criteria. It gives you a symptom checklist you can use with your family, your doctor, and your child’s teacher. It teaches you about the tests that can be used to aid in diagnosis. It guides you in ruling out other possible causes of ADHD. It explains the neurobiology of ADHD and tests that can determine if you or your child have typical brainwave patterns common to ADHD. Plus, you will have Symptom Checklist to help in diagnosis. What a bonus! Get started now, and discover the best ways to get an accurate diagnosis for ADHD! IS IT REALLY ADHD? ONLY ADHD? How the Get an Accurate Diagnosis for You or Your Child helps you solve the problem of finally knowing if you or your child has ADHD and if it’s only ADHD. It teaches adults with ADHD and parents of children with ADHD what they need to know to make informed choices about getting an accurate diagnosis to ensure they or their child will thrive with ADHD. It provides essential information you can use right away. IS IT REALLY ADHD? ONLY ADHD? How the Get an Accurate Diagnosis for You or Your Child includes a wealth of information in an easy to use format. It describes diagnostic criteria, the many ways to assess the symptoms, the other possible causes, things that make ADHD worse, the research behind the process, how the diagnosis is done, who does it, and where to find providers. What’s does it feel like to have ADHD? Benefits – What’s great about ADHD? 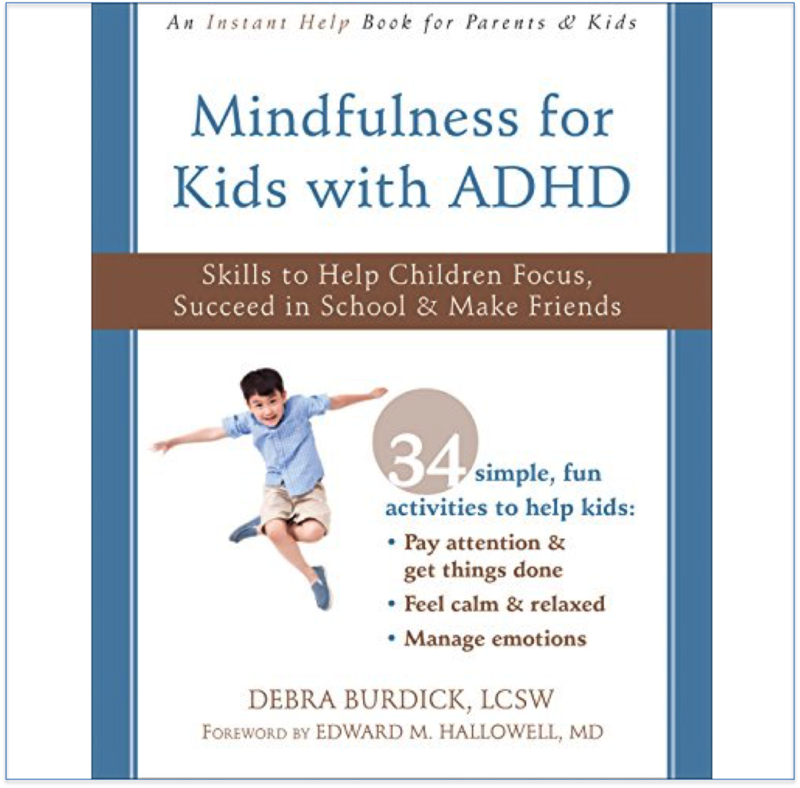 Contains an interview with a licensed Naturopathic physician who helps children and adults with ADHD! She teaches you how Naturopathic Medicine approaches the diagnosis and treatment of ADHD. She talks specifically about children and the information she provides applies to adults as well. “Deb Burdick is not only versed in neurofeedback, but as a clinical social worker, she has investigated the very matrix in which attentional problems arise: the family of origin, and a society that itself seems attentionally compromised. A large project? The elephant in the room? Absolutely! Big problems require comprehensive solutions. You get comprehensive step by step descriptions of all the pieces of the diagnosis puzzle. You get an hour long interview with a Naturopathic Physician. You get an hour long overview explaining A Holistic Approach to Success with ADHD… the worksheets… real-life examples from practice… ADHD symptom checklist…and the bonuses. Are you finally ready to get clear about the diagnostic process to ensure that you or your child get an accurate diagnosis at last? I am so certain, so positive that IS IT REALLY ADHD? ONLY ADHD? How the Get an Accurate Diagnosis for You or Your Child will help you that it comes with a money-back guarantee, and you can return the book and CDs for a full refund within 30 days of purchase if you are not completely, 100% satisfied. I personally guarantee it. P.S. I want you to experience my book and CDs for yourself, risk-free, and see how my holistic approach to getting an accurate diagnosis will help you or your child gain control over your life at last. It’s fully guaranteed so you have nothing to lose. P.P.S. IS IT REALLY ADHD? ONLY ADHD? How the Get an Accurate Diagnosis for You or Your Child is being used to teach adults, parents, health care professionals, and therapists how to help people of all ages with ADHD thrive. Isn’t it your turn?